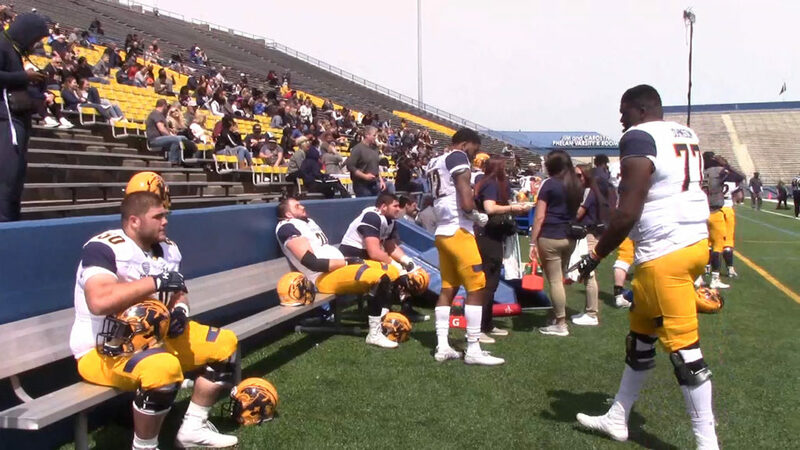 THE KENT STATE FOOTBALL TEAM PLAYED ITS ANNUAL SPRING GAME SATURDAY AFTERNOON, WHERE IT WAS OFFENSE VS DEFENSE. TV2’S WAYNE STREBLER HAS MORE ON THE STORY. 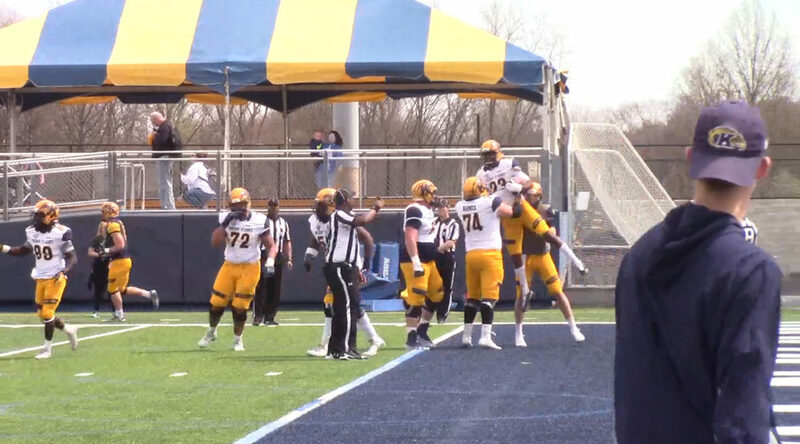 The Kent State football team played its annual spring game Saturday afternoon, when the offense went against the defense, white vs blue. “Good day, great weather. Kids competed their tails off. 116 plays I believe it was total, not including special teams and a little over an hour and 15 minutes of work so, we’ll take that pace,” Head coach Sean Lewis said. The team started off red-hot today, particularly on defense, where they held the offense scoreless on the first 15 possessions. But after that, Quarterback Woody Barrett was able to throw the ball with not only accuracy but strength as well. Head coach Sean Lewis had this to say about his starting QB. 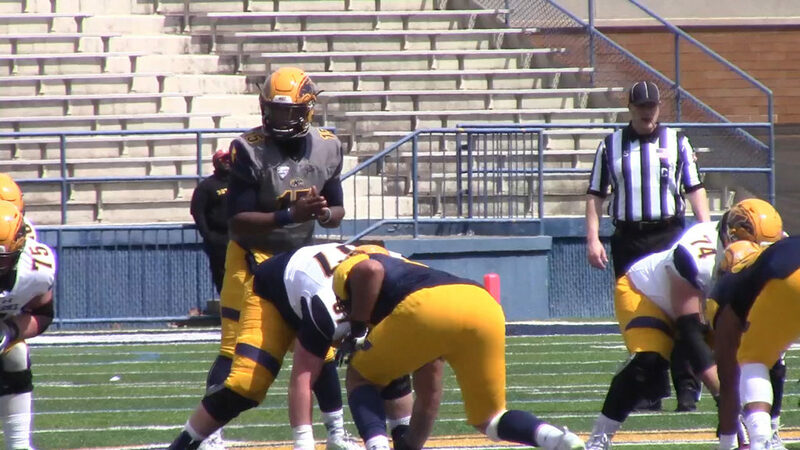 Starting Quarterback Woody Barrett looks to have more success in the passing game this year, which was put on display in Saturday’s Spring game. But speed was the theme today, as the offense used their athletic receivers to their advantage, pushing their up-tempo, no huddle offense to the extreme. “To have some guys that can erase angles and finish the way as an Isaiah Mckoy can. You know, the way he did on that one post and step out and have a one-play drive, like it’s a nice benefit to have,” Lewis said about his speedy receiving core. Players rest on the sideline during their halftime intermission. Being in year two under head coach Sean Lewis, senior running back Jo-el Shaw is seeing a night and day difference about this team. “It’s been a tremendous jump, I would definitely say offensively and defensively, even special teams, we got everyone working to fight and training to get the techniques,” Shaw said. Both Barrett and Shaw spoke highly about being better leaders, as well as staying together throughout the season.